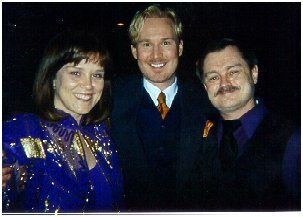 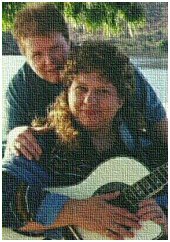 I first met Marsha at the 1999 GLAMA Awards, held in April of 2000, where both she and Christian Andreason were nominated in the Contemporary Spiritual category, the first year for that category. 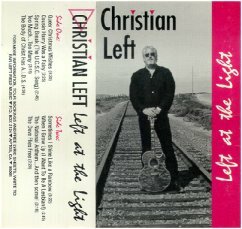 Christian won, and with sweet symmetry, last year at the Outmusic Awards, they were both nominated for the new category, Outstanding Recording - Spiritual, and this time Marsha was the recipient. 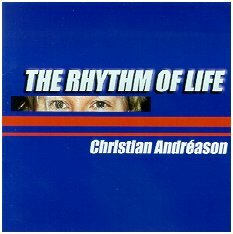 Christian accepted it enthusiastically on her behalf, as you can hear in Part 1. 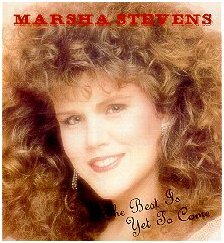 In June of 2004 Marsha was given a Special Recognition Award, at the Outmusic Awards. 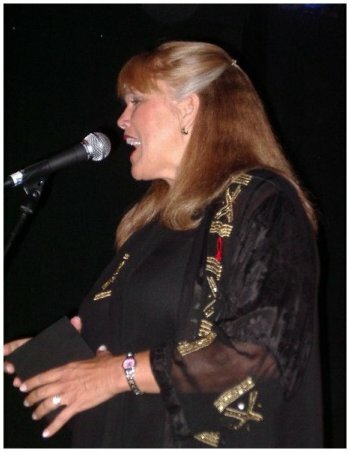 I snapped the above photo of her performing. 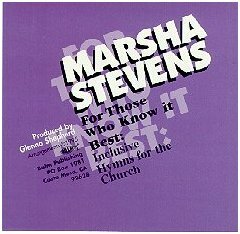 Below, the Children of the Day album from 1971 that began her career, and contained the hit, "For Those Tears I Died." 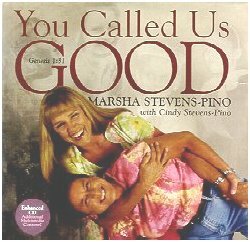 Marsha is always generous in promoting the work of others. 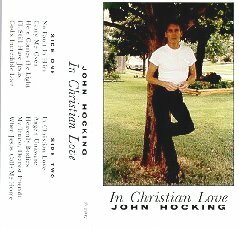 In the interview she talked about Justin and also spoke kindly of John Hocking and Stuart Boardman, who recorded under the wonderful name Christian Left. 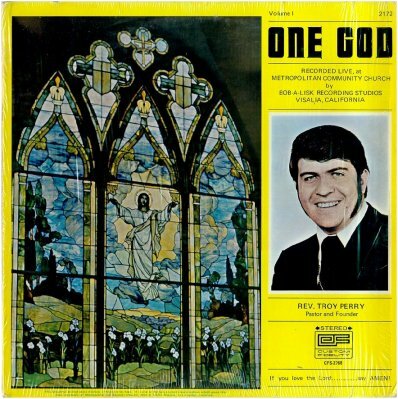 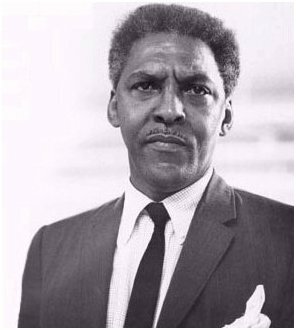 And, below, one of the services of Rev Troy Perry was recorded in 1973, and in the show I share with you his description of how the Metropolitan Church began. 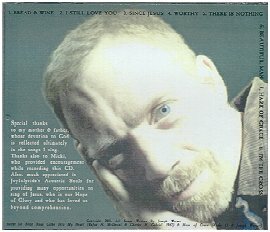 Click Here for large scans of the album. 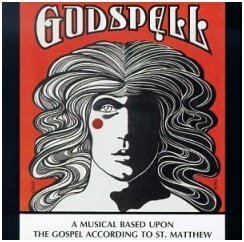 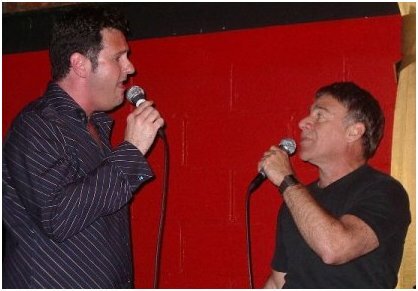 Above, the 1971 hit musical "Godspell" was created by gay singer/composer Steven Schwartz, who I got to meet in NYC last June at the Outmusic Awards, where he is shown here doing a duet with Lee Lessack. 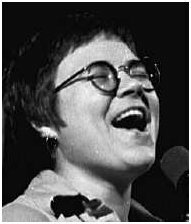 And below them is the Dallas MCC 1995 musical, "Coming Out Coming Home," which included the song "Lifted By the Power of Truth," sung by one of the show's principal songwriters, Stan Graner (above left), and Amy Mills...sorry, that's the only pic I could find of her. 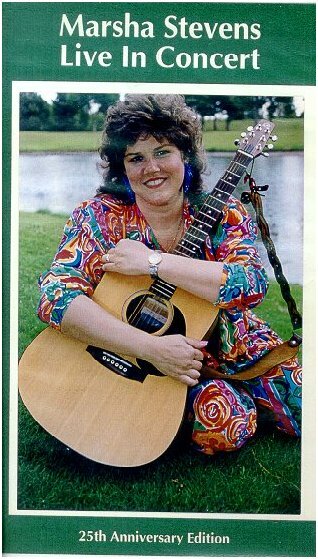 If you have a larger one please send it along. 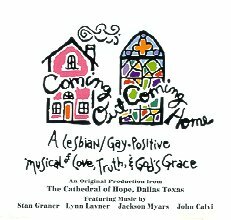 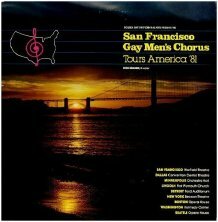 The music from "Coming Out Coming Home" was just one of a small and select group, artists who have released lyrically gay Christian songs. 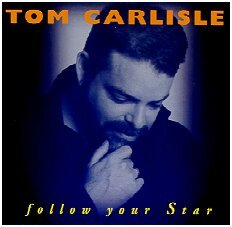 Tom Carlisle did it on his 1999 album, "Follow Your Star." 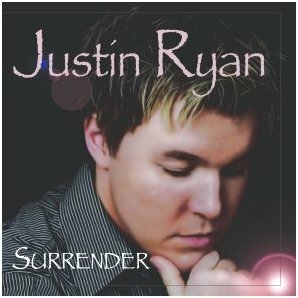 Another pic of him is below center, next to J.D. 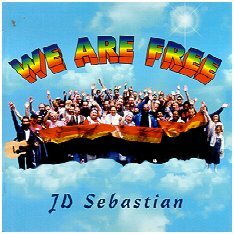 Sebastian, who also in 1999 released his CD, "We Are Free." 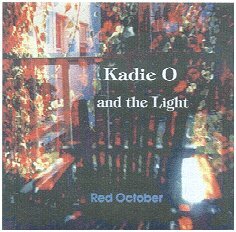 In 2000 Kadie O & the Light released their CD "Red October," containing the song "Shepherd." 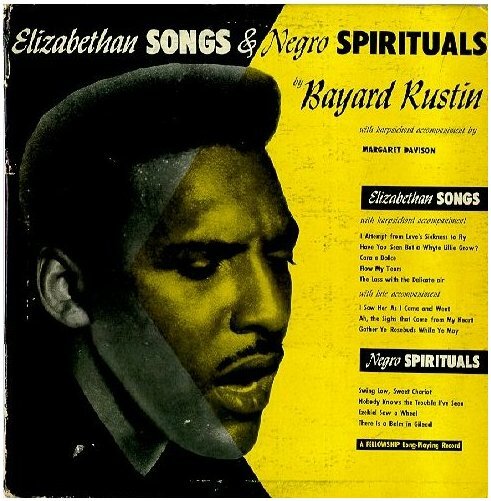 Earlier recordings by them were released under the name Acoustic Souls. 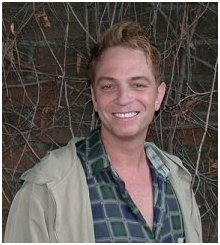 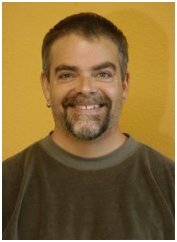 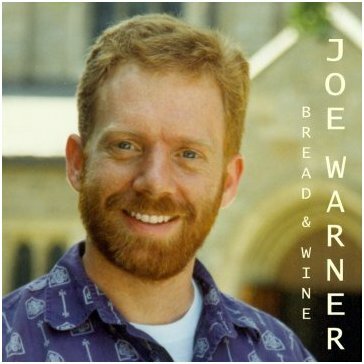 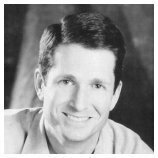 Below, Joe Warner has openly gay songs on two recordings "Worthy" in 2000, and on "Hope of Glory" in 2001. 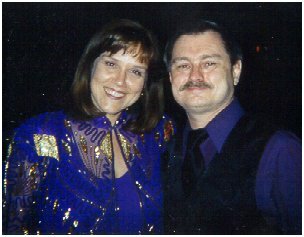 Photos of him seem to scarce on the net. 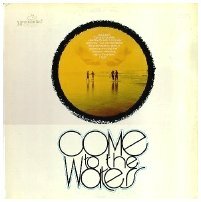 I found the small shot with the cowboy hat on the various artists CD "Walk By Faith." 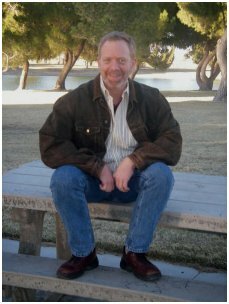 Fortunately, he sent me a brand new pic, the one on the park bench. 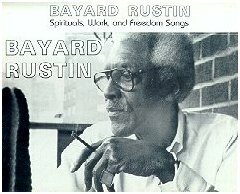 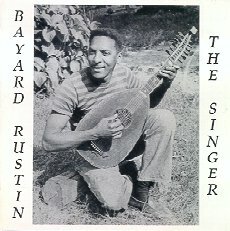 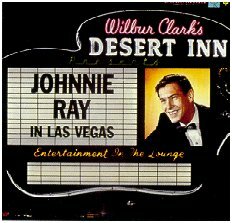 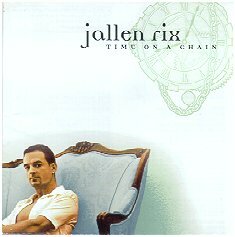 Below him is Jallen Rix, and his classic "I Saw Jesus Down at Stonewall." 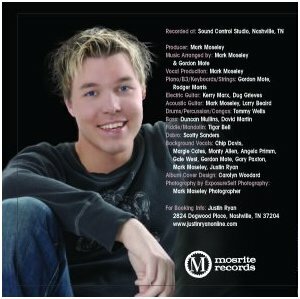 And, just in time for this show, Shawn Thomas made available from his new CD "Faith Unashamed," the wonderful song "Not Gay Enough For You," and you can't find a song much gayer than that. 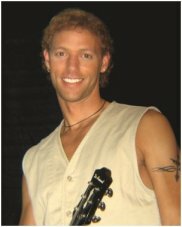 An interview with Shawn graces Part 3 of the show. 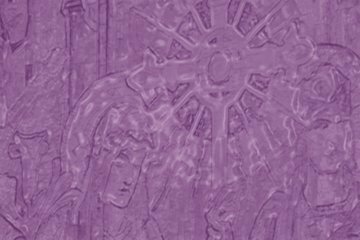 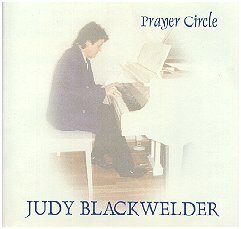 Please click to continue on to Part 3 of "Gay Christian Music"
beautiful piano music of Judy Blackwelder, from her 2001 album, "Prayer Circle"